With a stay at Comfort Inn Hotel, you'll be centrally located in Dubai, a 4-minute drive from Al Ghurair Centre and 8 minutes from City Centre Deira. 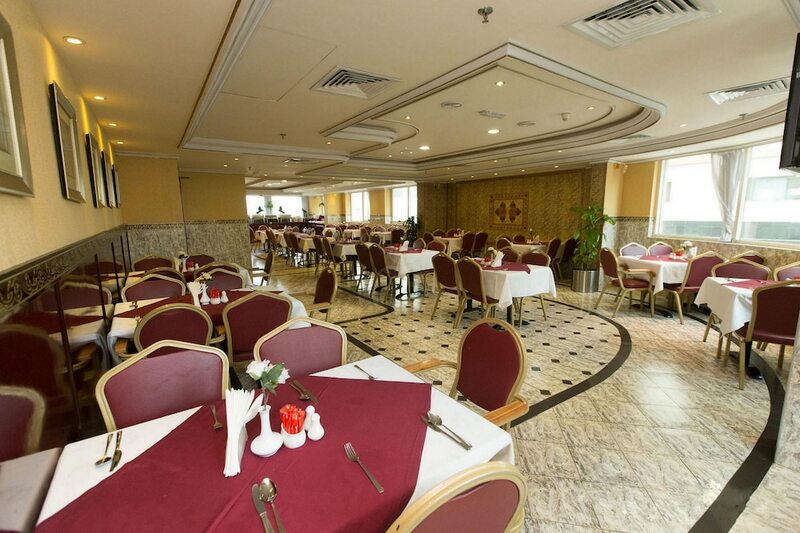 This hotel is 1.8 mi (2.8 km) from Gold Souk and 2.5 mi (3.9 km) from Dubai Creek. Make yourself at home in one of the 113 air-conditioned rooms featuring refrigerators and minibars. Complimentary wireless Internet access keeps you connected, and satellite programming is available for your entertainment. Private bathrooms with showers feature bidets and hair dryers. Conveniences include phones, as well as complimentary newspapers and electric kettles. Enjoy recreational amenities such as an outdoor pool and a spa tub. Additional amenities at this hotel include complimentary wireless Internet access, concierge services, and shopping on site. Guests can catch a ride to nearby destinations on the complimentary area shuttle. Enjoy a meal at the restaurant or snacks in the coffee shop/café. The hotel also offers 24-hour room service. Buffet breakfasts are available daily from 7 AM to 10 AM for a fee.